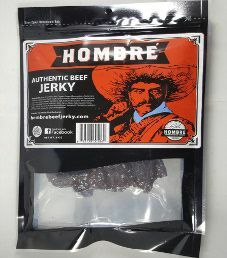 The first review on Hombre Authentic Beef Jerky will focus on a 6 ounce/170 gram bag of their original flavored beef jerky. 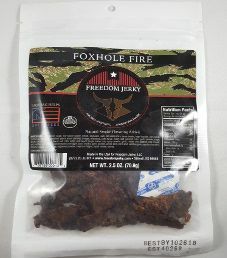 This jerky bag was kindly submitted for review by the Pyle Meat Products team. 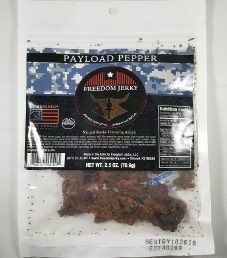 The next review on Freedom Jerky will be on a 2.5 ounce/70.9 gram bag of their Payload Pepper flavored beef jerky. 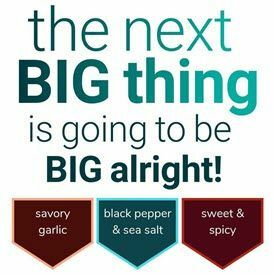 This flavor is described as a true steakhouse flavor, with just the right balance of cracked pepper with their award winning marinade. The jerky bag was kindly submitted for review by lead role, and former combat veteran, Jonathan Chia. 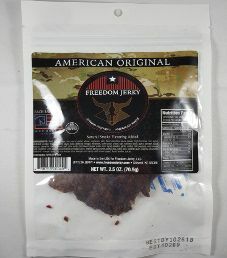 The next review on Freedom Jerky will be on a 2.5 ounce/70.9 gram bag of their Tactical Teriyaki flavored beef jerky. 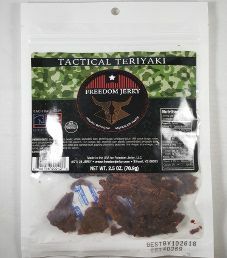 This Tactical Teriyaki flavor is described as having that sweet and savory flavor that we all love. The jerky bag was kindly submitted for review by lead role, and former combat veteran, Jonathan Chia.